RTI startup began in January 2000 with the approval of a federal grant to UW/WSU Extension. A Rural Advisory Board was established and project priorities set. Every January since the startup, RTI hosts the Annual Technical Review. It is at this review that the new priorities are set for the upcoming year. Below are some priorities that were set by the Rural Advisory Board at the Annual Technical Review that took place in January of 2003. Monitor and support the DNR Habitat Conservation Plan (HCP)/ Sustainable Harvest Calculations (SHC) process. Continue researching how the NIPFs in the state are responding to the forest and fish regulations (buffers, easements, and RMAPs), with the objective of assessing the impacts of the regulations, how small forest owners are reacting, and why. Provide more detailed analysis of the economic and other non-market benefits of species alternatives (alder and cedar vs. hemlock and fir). 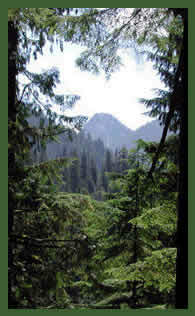 For a related slide show or video presentation about Changing Markets for PNW Logs, click here. Alternative plans to new regulations are too short term and too difficult to implement. Develop templates (site condition sensitive) that will make alternative plans able to provide enough economic benefit to restore land values. Include training modules on the impacts for regulators, and on how to implement the plans for owners. Develop protocols for site-specific placement of Large Woody Debris (LWD) for commercial timber removal in riparian zones to maintain important stream functions. For a slide show or video presentation of LWD, click here. Determine the non-market values provided by the Tribes and NIPFs to the public, and the cost of these non-market values. 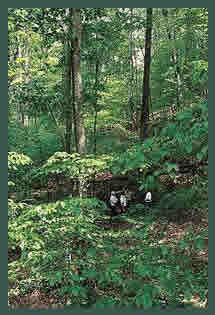 Develop better strategies to reach a larger portion of small forest landowners with better management planning tools (smaller owners with similar need and/or those with different needs). Retrospective study/analysis of eastside landscapes that have experienced lethal large scale crown fires looking for the effects of pre-fire treatment with the objective of validating the impacts (benefits) of treatments being considered. Useful to policy makers, homeowners, and landowners, as well as forest managers, to assess tradeoffs associated with achieving desired future conditions. Continue outreach education using the current technology training workshops for consultants, tribal foresters, and NIPF owners. RTI's Rural Advisory Board includes members representing non-industrial private forest owners (East and West), Washington Farm Forestry Association, forestry consultants, The Yakama Nation, The Colville Confederated Tribes, The Olympic Natural Resources Center (ONRC), American Forest Resource Council, Washington Contract Loggers Association, Washington Hardwoods Commission, Columbia Pacific RC&D, Northwest Forest Products Workers, United Brotherhood of Carpenters, Washington Association of Conservation Districts, Okanogan Communities Development Corporation, The City of Forks, Ellison Timber and Properties, Williamson Consulting, USDA - Forest Service Cooperative Programs.